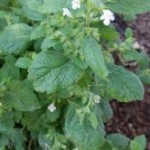 Believe it or not this sun loving perennial is actually apart of the mint family. There are more than 750 varieties. 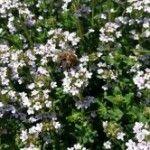 The officinalis variety is hardy in zones 4-8 so it grows well here in our Utah climates, as do many other kinds. It prefers well draining soil. 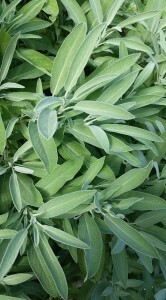 Sage is actually easier to propagate from root cuttings rather than start from seed. I whack mine back every spring to a medium ball shape. Harvest the leaves from spring through fall. 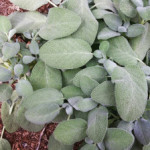 Sage is a great astringent helping to tone and pucker inflamed tissues, so it’s great for sore throats, mouth sores and diarrhea. It is also effective in drying up mothers milk when a woman is ready to wean her toddler. It’s antiseptic properties make it useful for fighting off the cold/flu. Sage is a mild hormonal stimulant, promoting regular cycles in women and relieving symptoms of menopause like hot flashes and night sweats. 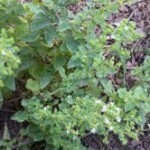 It also has antiviral and antifungal properties to help treat infections. Avoid medicinal doses during pregnancy and/or nursing. 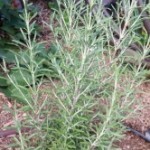 Here’s a simple sage syrup for sore throats or mouth sores… Make a tea from the sage leaves, 1 tsp dried herb for every cup of water and add equal parts honey once steeped and strained. Add a few drops peppermint essential oil. 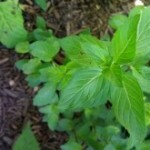 You can also add a small amount of echinacea tincture to it too. Pour into bottle and use as needed.